The SSPC25 Heavy-Duty 25' Power Cord from TecNec is a 25' length of industrial-grade, heavy-duty power cord. Use this extension to bring more durability to your setup and more protection to your equipment. This unit features a four-outlet cast-aluminum stage box with a basket strain relief. Its design also includes BR-15 outlets, 14/3 SJO rubber-coated power cable, and a terminated 5266C high-impact plug. Use this extension to bring more durability to your setup and more protection to your equipment. 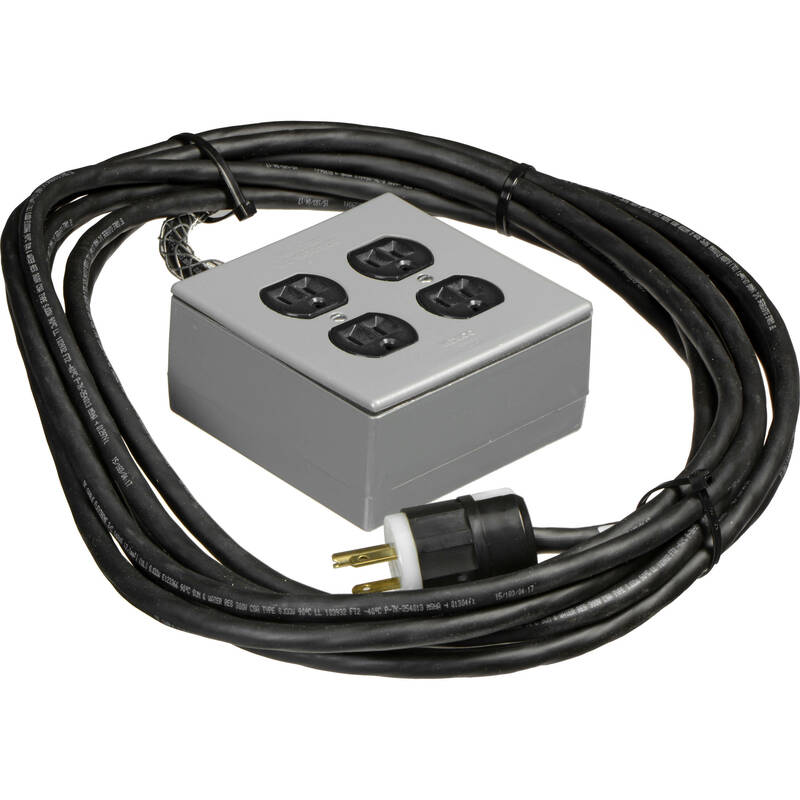 Box Dimensions (LxWxH) 15.4 x 10.8 x 1.7"
SSPC25 Heavy-Duty 25' Power Cord is rated 5.0 out of 5 by 1. Rated 5 out of 5 by BGK from Great on stage or location. Well made. Very sturdy. High quality parts.